A couple of days ago I promised to release my budget spreadsheet in a comment to Nicola’s wonderful How To Make a Budget post. Since a promise is a promise I better show you guys how I keep track my income and expenses. If you like Microsoft Excel fanciness, you might want to check out the actual template too! Contrary to most people, and unlike Nicola from The Frugal Cottage, I don’t allocate a pre-determined amount of money to expense categories. You could say I deploy an anti-budget, but without revisiting a giant list of expenses regularly. Actually, I’m somewhere in the middle. I aim for an overall savings rate and adjust my spending on the fly from memory. As a result, I can’t use automated budgeting tools Like Mint.com and YNAB. Since I’m not from ‘Murica, I don’t have access to most of the better tools anyway. Manual labour is the only viable option to cram my income and expenses in my tiny little brain. By updating my budget every night I know the balance of my bank accounts at any given time, which is a big plus. While this sounds like a lot of work, it will only take you one minute every night. Pro-tip: it won’t if you don’t spend anything at all! After a while you will also be doing most of the budgeting subconsciously. Therein lies the true value of my approach to keeping a good budget. So how does it work? My spreadsheet consists of three tabs: overview, income and expenses. After choosing the right year at the top of the sheet, the overview page does everything automatically. It provides a summary of all your income and expenses by month, the savings rate and a nice graph for an instant visual representation of your efforts. The categories on the left provide more detailed information. The income and expenses sheets work identical to each other. To have the overview page aggregate all your data, you’ll have to provide the date, select the type of income or expense from a drop-down menu based on the categories on the overview page, and enter the correct amount of money. For future reference you can also add some detailed information. That’s it! The Excel sheet will take care of the rest and provide you with a nice summary of your budget. When a year passes by, just change the year you wish to view at the top of the overview sheet and you’ll be all set. If you ever wish to check your savings rate from a couple of years ago, you can always go back and change he date again. Excel will take care of the rest. 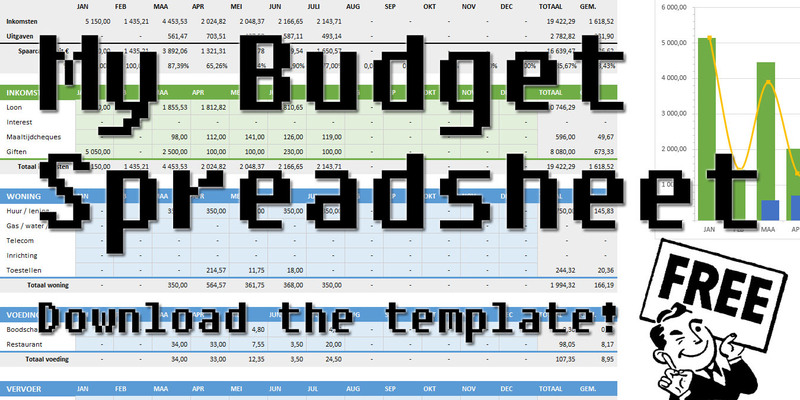 Download my budget spreadsheet and be sure to let me know in the comments what you like and don’t like about it! I love bein’ from ‘merica but actually we can get lazy. In many ways but here I’m talking about the ample budgeting software we have access to. Doing it the manual way as you have means it takes more time. That’s good because it takes more of your focus. You pay attention more to your income/outgo this way. Excel, ftw. And thanks for mentioning my antibudget budget! Exactly! And if you update your Excel sheet regularly it’s not that much work at all, to be honest. Wow, the spreadsheet is amazing! You did a fantastic job! Thanks for sharing. I feel like I should go back and redo my spreadsheets. You put them to shame. Thanks, Henry! Took quite some time, but I’m really happy with the result. In the future I might add some stuff like a budget projection. Thanks for sharing! My spreadhseet has needed an update, so I’ll be sure to check it out. I’m not big on Mint or Personal Capital either, plus I don’t really trust them. No problem, hope you like it! Let me know if there’s something in specific you find useful in a spreadsheet so I can maybe add it to mine. The privacy of my data is also a big issue for me when using applications like Mint, especially since I’m not a US citizen and there’s this wonderful thing called the Patriot Act. As a result, the DIY method is by far my favourite way of keeping track of my budget. I live my financial life by spreadsheets, so I’ve got one that’s custom fitted to my needs. Thanks for sharing. It looks like a great sheet and I’m sure tons of people will get value out of it! Thanks for checking my sheet out, much appreciated! I have my own budget spreadsheet that I’ve built up over time but it’s a bit of a mess. Yours looks crisp and clean! I like it! You should redo your own spreadsheet to reduce the clutter. It will probably make budgeting more fun and effective! This looks so much better than my budget spreadsheet! Well done, you must be an Excel whiz! Quick question – to get the content of the income and expenses spreadsheet to appear in the overview page, you have to select a ‘type’ – is that right? I couldn’t see any ‘types’ in the list when I clicked on the drop down box. Is that something that we need to pre-populate? Thanks for sharing this! I see how my explanation is confusing: the drop-down box in cell B3 is actually a filter. To select the type of income or expense you’ll have to click in the actual cell to make a small arrow on the right appear (the first cell to support this is B4, then B5, etc.) The cells have data validation applied to them based on the categories in the overview tab. Hopefully this helps! I use a spreadsheet for my budget as well. I really like the hands on approach it takes, rather than looking over Mint. I do like how you have an overview section, though! Very useful. I need to re-organize some things, as I started using Google’s Sheets instead of Excel a few months ago. Exactly! Doing things yourself also provides a much more satisfied feeling. 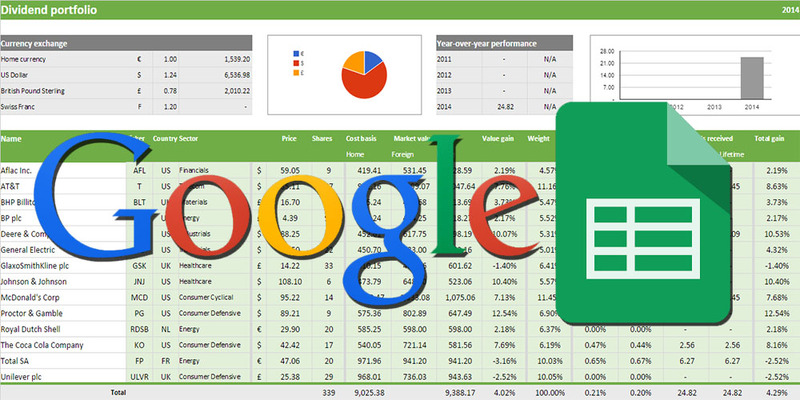 Google Sheets is also great for budgeting and offers a lot of pre-built budget sheets, you should check them out for inspiration. And if you’re into stocks, the GoogleFinance function makes life a lot easier! No problem, feel free to use it anyway you like! I hope you have a lot of fun with it! Good workbook. I still have to take my data from Quicken and put in in Excel to get it the way I want. Thanks for sharing. Sounds like an extra unnecessary step then to use Quicken? I hope you can apply something from my spreadsheet to your Excel file! Great spreadsheet! – looks like a very much tuned up version of system I setup for myself 40 (yes 40) years ago using pencil and paper (pre PC/Excel ) and then converted to a very basic spreadsheet – no fancy graphs and such like yours 😉 – but it does aggregate up. So to date I have 40+ years of personal expense data – extremely useful imo – I can predict with a great deal of certainty what it costs to live – at least my life, the need for setting budgets is redundant – also found budgets to be a major pain, overly restrictive and always being broken – so why bother?. I found that updating daily was to tedious, so my simple (simplistic?) solution was to create a paper(!) expense capture form (on a 8×10 or A4 page) by month listing expense categories and a space for the expense amount. I then update the spreadsheet, monthly with the category amounts and start a new capture form. I found knowing I spent $4.56 on xyz item on Sep 15 to be TMI – knowing I spent 4.56 in category X during Sep 2014 was sufficient for my needs – but each to his own. Also I found having a constantly updated set of numbers to be of little value – monthly works for me. Other nice aspect of the paper capture method is easy multi-person access – i.e. my wife was willing to capture expense info as long as it was easy 🙂 – updating a spreadsheet daily was deemed NOT to be easy – and one must listen to the voice of authority :). Pen and paper is the old school version of Excel! 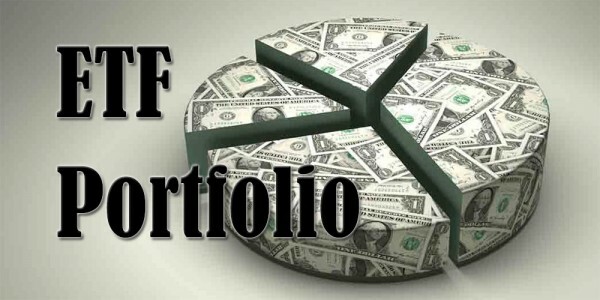 Can’t imagine having to track my portfolio and income using only some paper… Sounds like a massive amount of work. I can imagine you possess a plethora of information though. You should publish it somewhere for others to see, maybe they can learn something? You’re right that my spreadsheet is to focussed for most people’s needs, but the beauty of it is that you can also use it to generally catch your expenses like you do. It makes sens after forty years to not want to track every single penny coming in and going out because you’re so accustomed to sticking to ‘your budget’. Multi-person access is a nice feature though! If I ever find someone I’d have to share my spreadsheet with I’d probably go with a Google Docs sheet and share that. That way you can even change your numbers on the go from your smartphone! Thanks for sharing your spreadsheet! Great job! It is simple and clean. I like it much better than the one I’m currently using. I think I will switch but before I do I wanted to ask a question. How do I add new categories? I tried but it did not show up when I wanted to add an expense. Also, is it possible to change the grouping, I don’t want the clothing included in the health section. You’re welcome, hope you find it useful! Categories can be renamed on the first tab ‘Overview’ by just renaming them. They link back to column H on tab ‘Expenses’, which are then used as data validation for column B. If you wish to add and or change out categories you might have to change quite a lot in these cells. If you’re unsure on how to proceed, hit me up through the contact form up top and I’ll help you out. Great looking spreadsheet! Will definitely try and work with this as I am getting a more firm grip on epenses in 2015! I totally overlooked your comment, sorry. 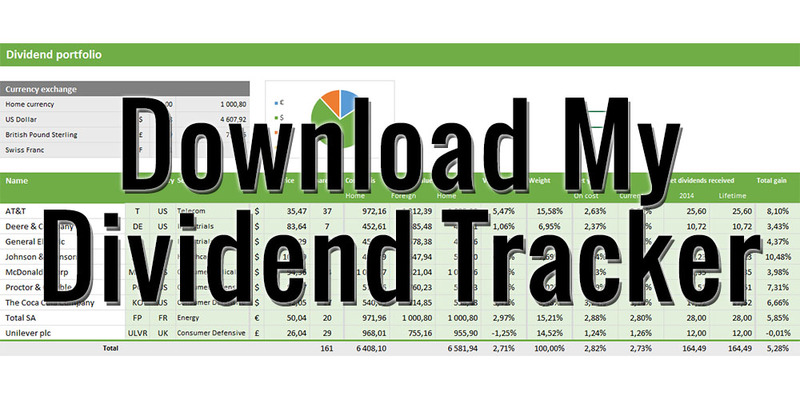 Hope you liked the spreadsheet and that you find it useful in your daily budget keeping. I currently don’t control my spending. So starting by using this tool could be a good way to start controlling. I began filling the excel, but I’m struggling a bit with what you could call OPEX and CAPEX spending. I’ve build a house, have a wife and two kids. And my spending is somewhat more complicated. E.g. I’m building a garage, so there are expenses of 10K€, so this is what you woud call CAPEX. Shouldn’t I include any of these? If not, than I definitely have a big hole in expenses I did. But if I include it, it gives a wrong view on my daily OPEX spending. Excellent idea to get a grasp on your spending! I hope you find my spreadsheet useful. If not, there are tons of other options out there that could help you get started. My view on income and expenses is very simple. Income is money that is brand-new: interest, dividends, paycheck, random gifts, etc. You shouldn’t include capital gains though. Expenses are broadly defined by everything that is not adding to your assets or not building your net worth. 2. 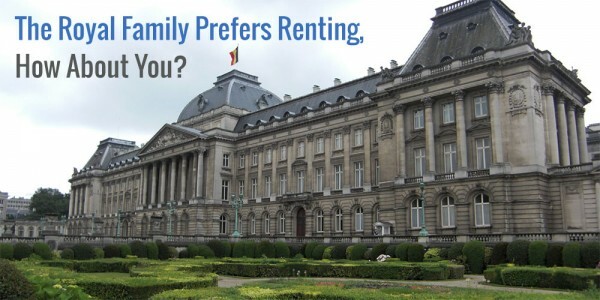 It gives you a better idea of your expenses over the long-run. In ten years you’ll be happy to see what you actually spent (cashflow wise) rather than how much you lived on. I don’t see the benefit of not knowing your actual outgoing money, but rather your daily OPEX spending as you call it. I hope this answered your question. Feel free to ask for clarifications though! if i want to add rows to the “other” section in the overview tab — is there some special something i’m missing in doing that? from what i can tell my formulas are what they need to be in following what you have, but for the life of me i can’t seem to add a row — i have several more “types” that i’d like to add :/ any ideas? thanks in advance! The types are listed on hidden columns in the second tab and third tab. Try selecting all columns and right-clicking “make visible” or something like that. There you can add new types! Have just had a look at it. Thanks for sharing. You put in dividends under Income > Investments, right? But under what category do you put the expense when you buy the stocks/funds? Good question! I don’t really log transactions costs when purchasing a stock. I just add it to the purchase price (which in fact is the “savings” number). How can you add more rows and types not able to add. You’ll have to add them manually on the first tab! Then see if they’re added to the list on the income and expenses tab. Good luck!